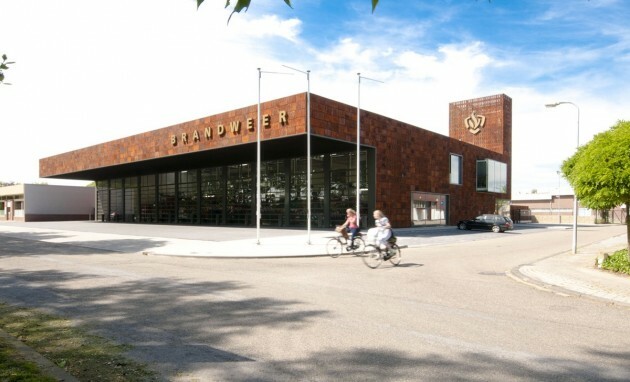 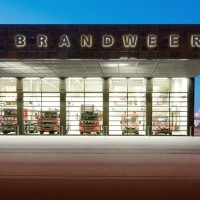 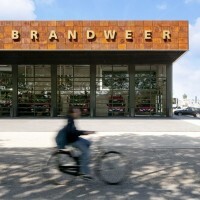 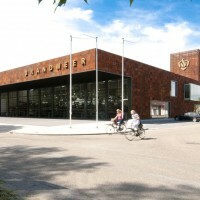 BDG Architects have designed a new fire station for the city of Weert in The Netherlands. 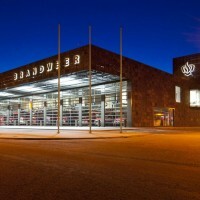 The new building is in the same location as the former fire station. 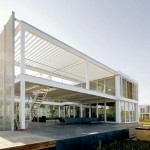 The restricted location in relation to realizing the program was instrumental in a compact organization. 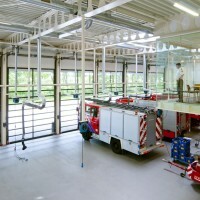 Transparency, both in the outer shell and internally causes different parts of the fire service to be connected and that the functioning of the fire station is visible from the outside. 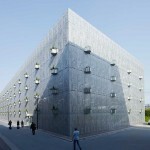 The building has a striking design and bold materialization to create a recognizable image. 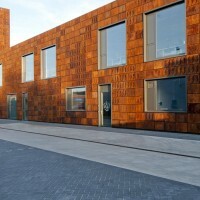 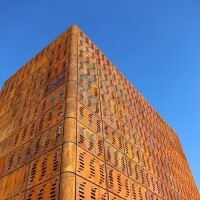 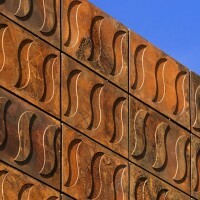 The facades are made of cast steel panels, which feature a raised, recessed or perforated pattern. 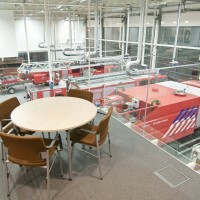 The building has both a tough and functional, transparent and congenial atmosphere to match the character of the fire service. 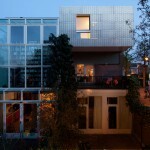 Visit the BDG Architects website – here.